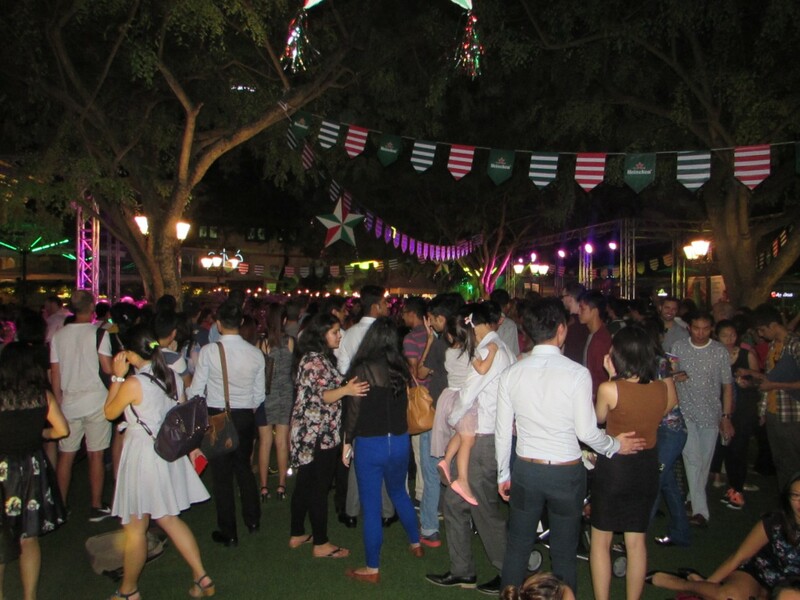 The 28th of August saw the entertainment complex, CHIJMES, turned into a sea of green, where Heineken held its Cities Festival. 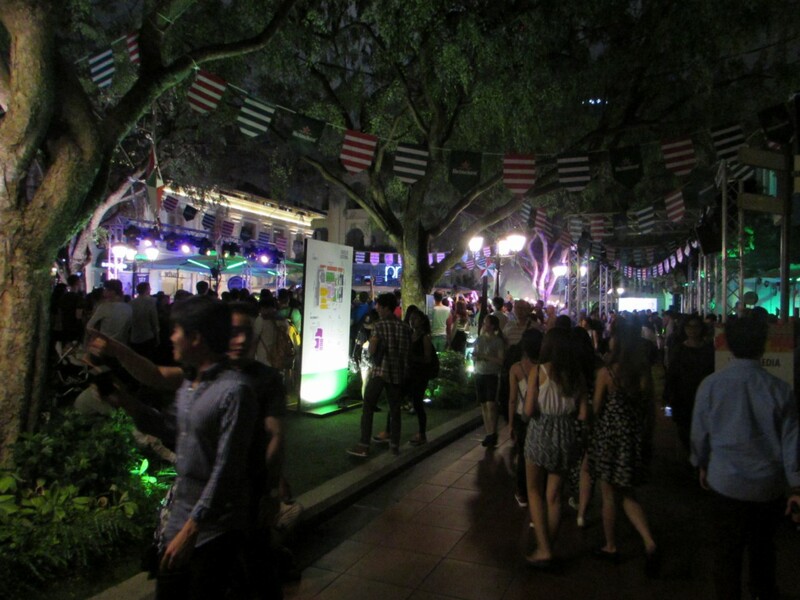 It was a unique concept where Asia Pacific Breweries, the company that sells Heineken, worked with some of the existing F&B outlets within CHIJMES to create a journey of discovery of six of the world's most exciting cities, namely, Los Angeles, Madrid, Mexico City, Seoul, Tokyo and Singapore. Entertainment at different areas within the venue, depicting the music and entertainment of the different cities, went down well with guests, as they soaked in the atmosphere. The highlight of the evening saw DJ Cristian Varela who is fast becoming one of Spain's best export and ambassador to the techno scene, get the crowd all pumped up. 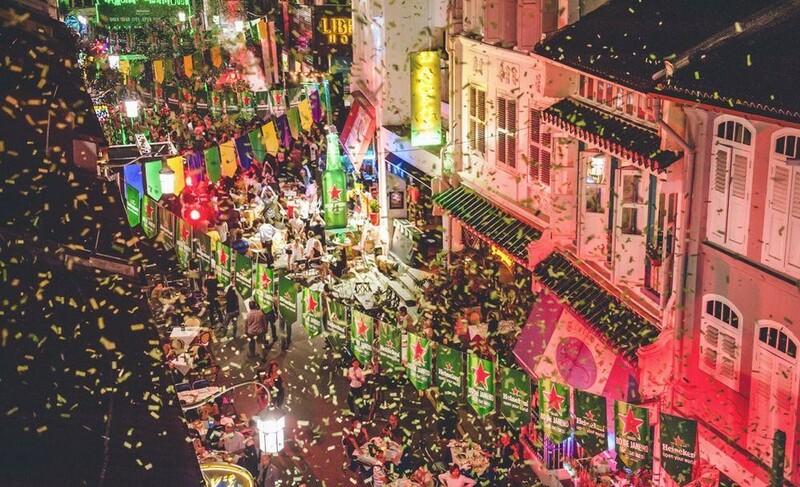 With the sale of limited city edition Heineken bottles being snapped up, it was indeed a memorable night of fun and musical experience of the six cities. Helping to create the seamless experience for the guests was Roger Seah of Concept Alliance Asia who was the appointed Activation Creative and Show Director for the event. For production support Roger appointed Robert Adrian Tan as the Technical Director to ensure that an equally exciting atmosphere was created to cater to the senses. Roger's scope of work entailed creativity of the entire consumer experience of the festival, from sound, light and visual to Artiste Management and on-sight Branding. According to Roger, challenges where sound, light and visual were concerned, included special attention that was required for the cabling works and safety issues. “CHIJMES is a conservation site and we had to be careful due to the building structure to ensure that all equipment and power required did not affect the building. In addition time was also a factor as we had to work around the operating hours. 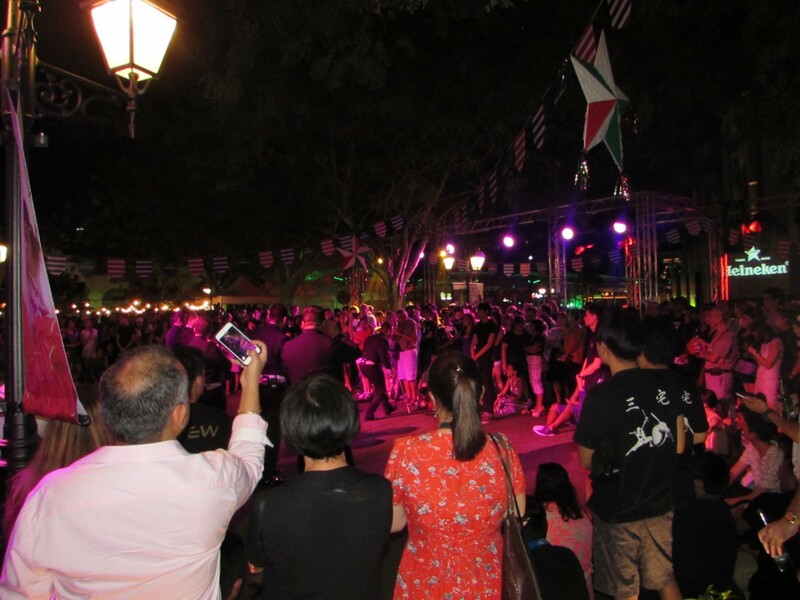 Considering that this is a lifestyle venue, it took us 5 days to get the set up done as we could not test systems or do cable work during normal operating hours of the venue.” There were two control stages set up within CHIJMES. Each control stage took care of controlling the sound, light and visual for specific areas. One control stage took care of the Seoul and Tokyo city experience, whereas the larger control stage was responsible for the rest of the cities entertainment experience including the finale with DJ Cristian Varela. “Production support was also a challenge as we needed to consider the placements of sound and lighting support structures in relation to the F&B outlets within the space. We had to ensure that the sound dispersion and firing angles of the lightings did not disturb the respective F&B venue's dining clients during the entire show,” said Roger. 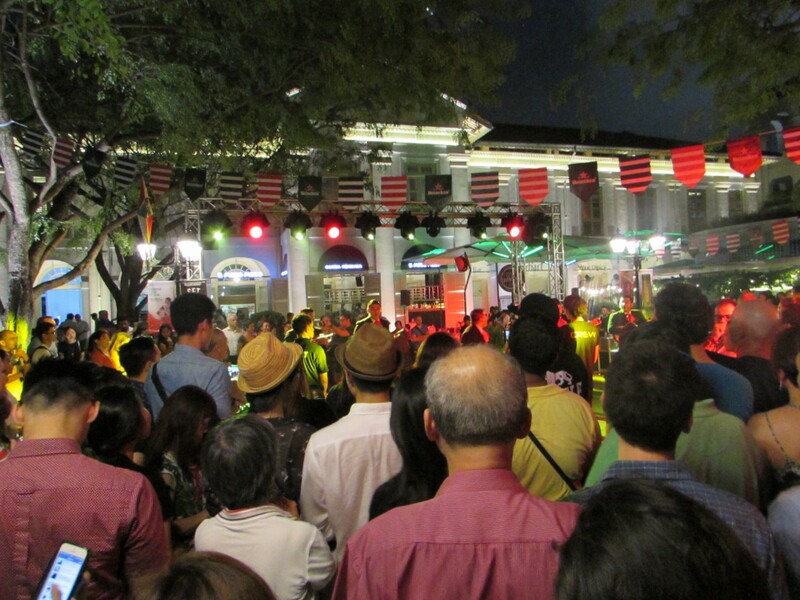 Essentially there were different areas created within CHIJMES which showcased music and entertainment from five different cities, mainly Seoul, Tokyo, LA, Mexico City and Madrid. 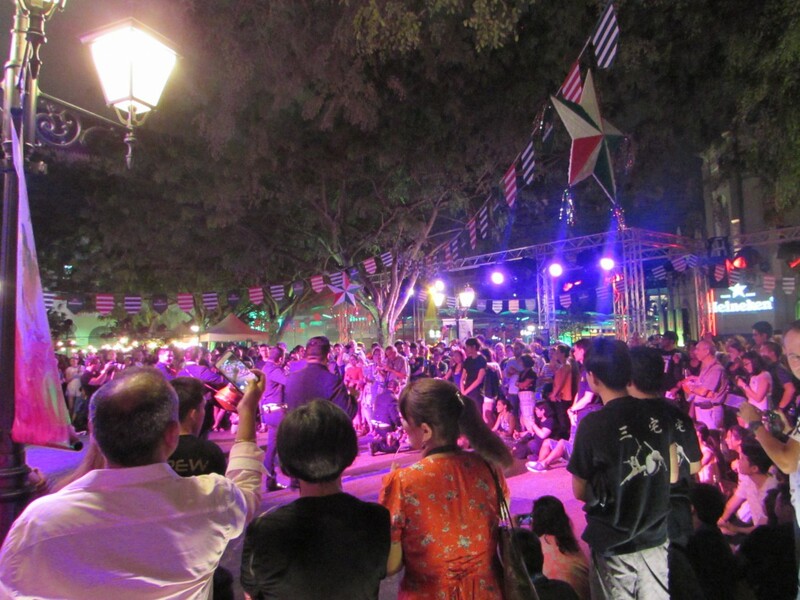 Singapore as the melting pot of cultures was aptly the venue showcasing all the different cities. 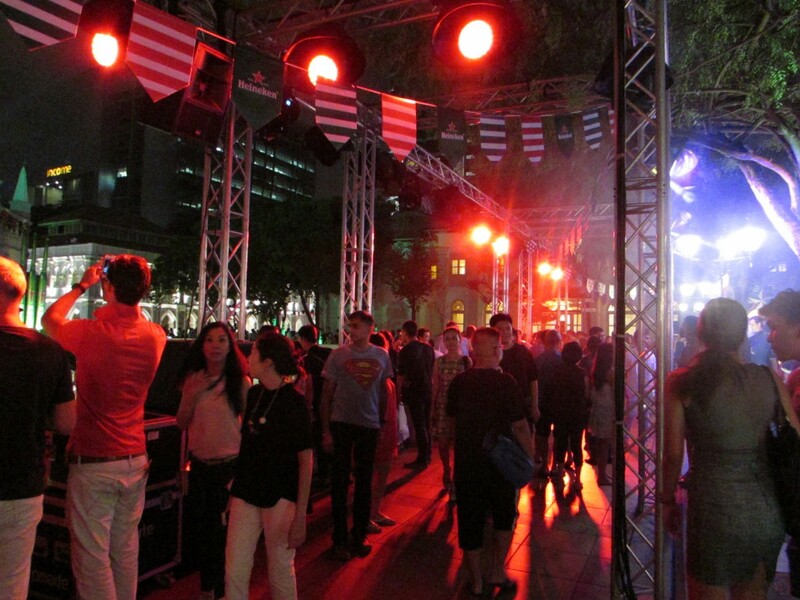 Each of the areas had background music being played, depicting the respective city's music. This was complemented with performance depicting the city's music. 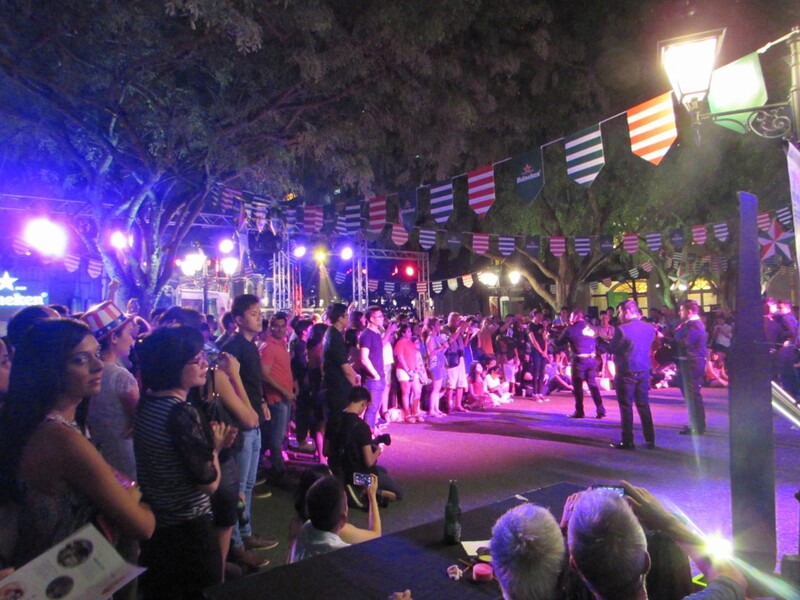 Each city performance was co-ordinated to follow a schedule thus allowing guests to enjoy each city's performance and performers. This was scheduled twice before the highlight performance by DJ Cristian Varela. be used. The true reproduction of the original sound and its dynamics were the key elements that pointed us into having KV2 Audio for this Festival.” said Robert. He added, “Different locations, some with reflective walls and others with open spaces had to be taken into consideration before deciding on the actual systems to be utilised. ”The performances kick started with Tokyo, followed by Seoul, then LA, Mexico and Madrid. The audio system for Tokyo featured 2 units of KV2 Audio ESD36 speakers driven by 1 unit of KV2 Audio ESP2000 amplifier and 4 units of KV2 Audio EX10 active speakers. Lighting fixtures included 8 units of XC Lighting R200 moving head beams and 8 units of XC Lighting XC-008D 18x10W RGBW LED Par. “The performance in this area featured the traditional Taiko Drums and we had to choose the appropriate speaker models as the second part of the Taiko Drum performance was backed by a Japanese song which depicted “Energy & Festivity,” said Robert. The main audio system for the Seoul city area featured 4 units of KV2 Audio ESD15 speakers that were driven by 2 units of KV2 Audio ESP2000 Amplifiers. Three of the speakers were hung on a truss with the other placed on a speaker stand to provide a controlled surround coverage within the performance area. The Seoul city area also featured a Korean DJ who spinned K-Pop music, setting the mood for the Korean dance performance. The DJ area featured two units of KV2 Audio EX12 speakers with Pioneer CDJ2000 and Pioneer DJM900 systems. Lighting duties were handled by 8 units of XC Lighting R200 fixtures with 4 units of XC Lighting XC-008D, 18x10W RGBW LED Par. Lighting control for both the Tokyo and Seoul areas were handled via an Avolites Pearl 2010 lighting console. Audio mixing duties for both areas was handled by a X32 Behringer Producer Digital Mixer that worked in tandem with a Midas DL251 Digital Stage Box. A Klark Teknik 9610 extender was also incorporated in the set-up as the Cat5 Cable length exceeded the 100m run. The city of LA was depicted with golden live “statues” representing the many awards handed out in USA with break- dance performance complementing the experience. 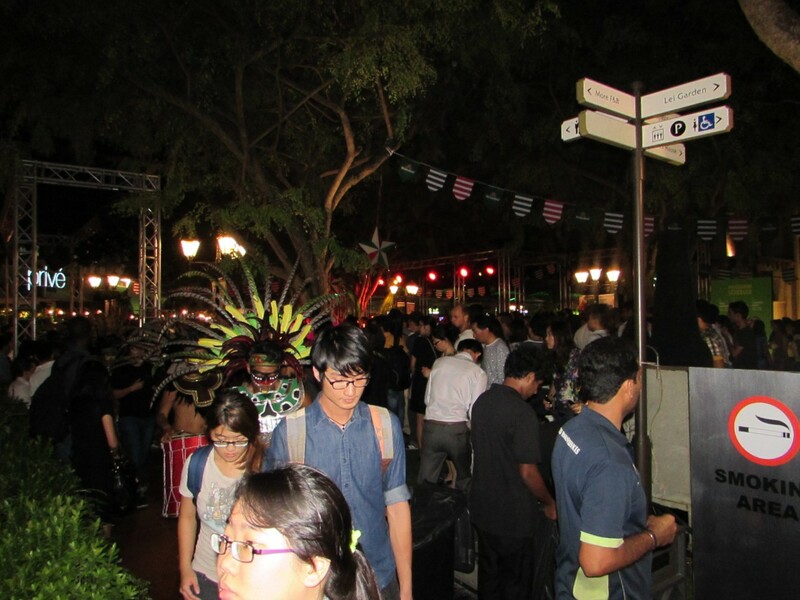 This area together with the Mexico city area was a focal point as it was placed centrally just in front of the CHIJMES lawn area. It would also play an integral role for DJ Cristian Varela performance as it is an open area which would need more “oomph” for the enjoyment of patrons. For this space Robert placed 3 sets of the KV2 Audio K-rig system that each comprised of 1 unit of KV2 KT2.0 Mid-Hi Module, 2 units of KT2.15 Bass Module supported with 1 unit of K-PAK Amplifier. In addition two units of KV2 Audio EX12 active speakers were also placed to cover the side areas of the space. 8 units of DTS XR-8 Moving Head Wash lights together with 4 units of Omarte 15R Moving Head Beams and 6 units of LED City colour lighting completed the lighting set-up. 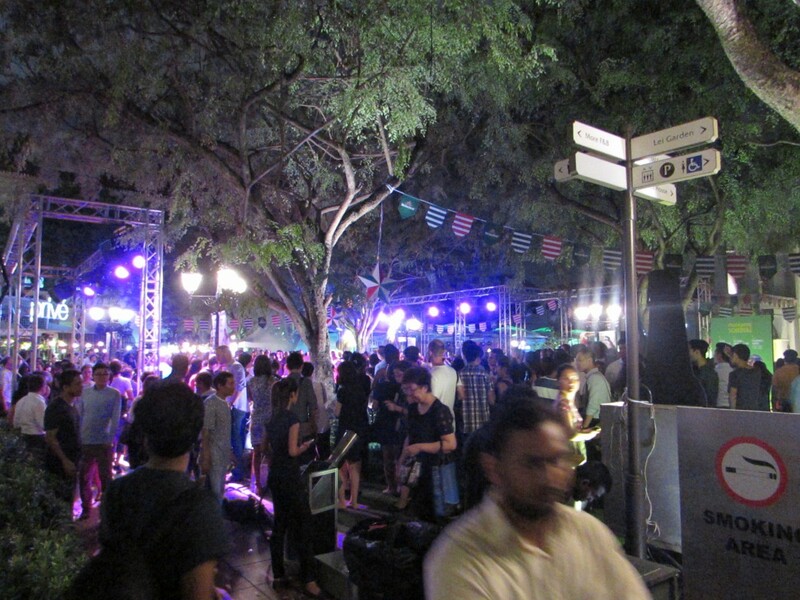 Facing the LA space was the lawn which was also the performance area for Mexico City. Sound reinforcement for this space was provided by 2 units of KV2 Audio ES1.0 speaker system, 4 units of KV2 Audio ES1.5 Sub-woofer system with an additional KV2 Audio ES1.8 Sub-woofer system. 2 units of KV2 Audio ESD15 speaker systems were used as delay systems. The ES speakers were driven by 2 units of KV2 EPAK2500R amplifier systems with one unit of KV2 Audio ESP2000 amplifier system driving the ESD speakers. As the Mexico City space was also within the focal point, the lighting fixtures were enhanced with more units. These includes 16 units of ASPL36 x 10 watts LED Moving Head Wash, APSL 5R Beam Lighting, 6 units of Clair Lighting M280 Beam/Spot and 4 units of XC Lighting De ne19 RGBW LED Spot Lighting. Lighting control for both the LA and Mexico space were all controlled via an Avolites Tiger Touch console from one of the control stages. “As this space was a focal point we had to ensure a higher sound coverage. Thus creating a fully impactful sound coverage, bringing Live Sound & Live DJ playback to create a Live Concert atmosphere that delivers a true and powerful representation of the original source to a very large audience in very high definition audio, was the priority, ” highlighted Robert. In addition Roger roped in a digital artist to draw live via a Mac showcasing “Mexican” style caricatures and cartoons. 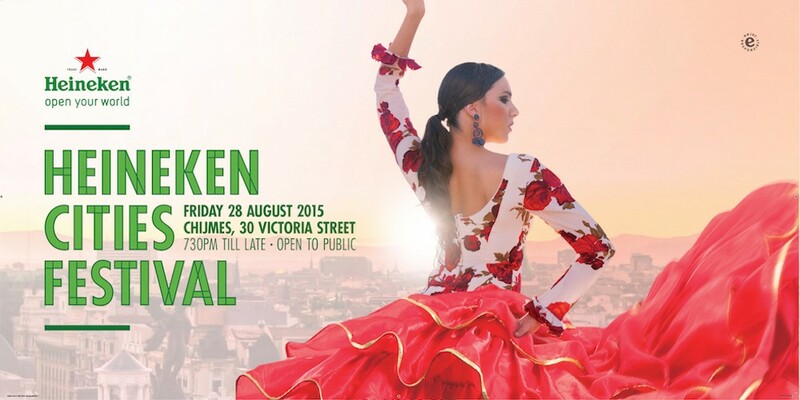 The images were then projected onto one of the walls via a Barco RLS Series – Single Chip DLP Projector with a special 6 colour wheel, which brought the vivid & vibrant colours to live complementing the colourful and bright traditional Mexican clothing. 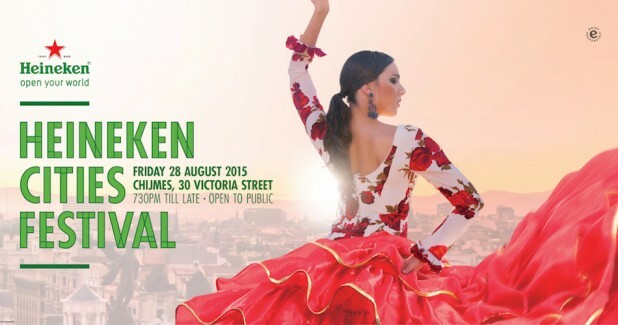 The city of Madrid showcased Flamenco dancers in all their splendour. This space featured 4 units of KV2 Audio ESD12 speakers with 2 units of KV2 Audio ESD1.18 Sub-woofer and 2 units of KV2 Audio ESD1.15 Sub-woofer, all driven by 2 units of KV2 Audio ESP4000 and 2 units of KV2 Audio ESP2000 amplifiers. The DJ set was set up above the Madrid space. A raised platform was constructed behind the Church building, facing the focal points of LA and Mexico area as well as the Madrid space below. 1 unit of Pioneer DJM900, 3 units of Pioneer CDJ 2000 Nexus and 1 unit of Technics SL1210 MKII complemented the DJ system. Audio mixing for the LA, Mexico, Madrid as well as the DJ performance was handled by an Allen & Heath iLive T112 Digital Mixer with an iLive iDR-48 mix rack. One interesting aspect of the set-up was the DSP Zoning system that Robert had implemented. “Before the different performances took place, each city area played their respective city music as background music simultaneously. When the respective city performance took place all the five designated city areas would only play that particular city area's music. When the DJ performed all the sound systems also only played the DJ music. To enable this we relied on one unit of Biamp Nexia CS and a Nexia SP linked via Nex Link for zone control,” said Robert.